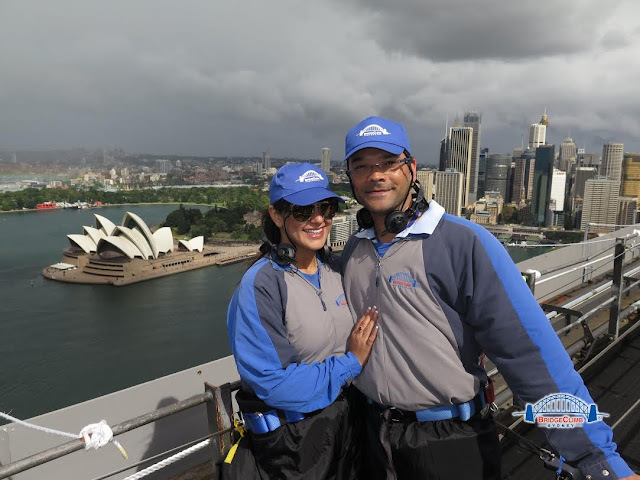 While people travel all the way to Sydney to look at the fabled bridge from the city, we opted for the ‘bridgeclimb’ to be able to see the majestic city from the top of the bridge. A two-and-a-half-hour climb is an amazing experience to know how the city evolved over the years and important role the Sydney Harbour Bridge played in city’s development. The action starts the moment you check in to the climb base. It is best advised to book your tickets in advance as you would know the time of your climb and wouldn’t have to wait. You can opt for Bridgeclimb — a 3 ½ hour long climb covering 1,332 steps that takes you to the upper arch, Bridgeclimb Express — a 2 ½ hour long climb covering 1,002 steps and a faster way to the top or a Bridgeclimb Sampler — a 1 ½ hour climb covering 556 steps and ideal for people who prefer not going till the top. The Bridgeclimb Express is the climb we opted for. After collecting our tickets we went for the routine pre-climb preparation where our guide equipped us with the gear needed for outdoor climb such as climber suit, cap, harness, earphones etc. We stashed away our mobile phones, wallets and other stuff in locker and were suited and ready to climb. Bridgeclimb team needs to be complimented for having one of the best team of climb leaders. As much as the climb is an exciting experience, it is their stories and anecdotes that actually make the experience a ‘climb of your life.’ They not only make the ascend (A rather scary experience for those with a phobia of heights) and descend where you look at flowing water and passing traffic through the grilled stairs, an experience to be enjoyed but also fill it with interesting trivia about the city and the bridge. You are full of admiration for men who put together this iron and concrete marvel in that age and that too without safety nets. You are awestruck with the precision with which the men went about their jobs risking their lives for something as innocuous yet pivotal as getting the screws, nuts and bolts in place hanging in the air. 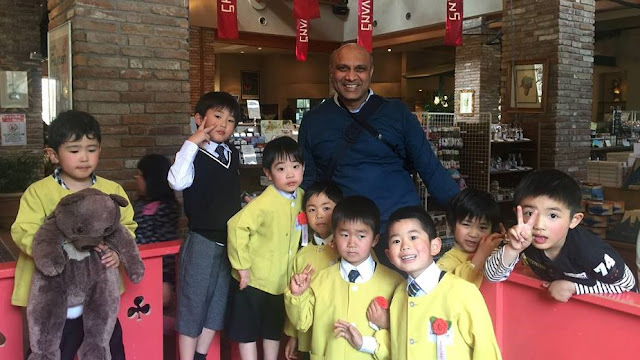 The climb is also an education in the socio economic scenario of the age where the bridge was fondly termed as The Lungs for being the largest employment generator during The Great Depression. 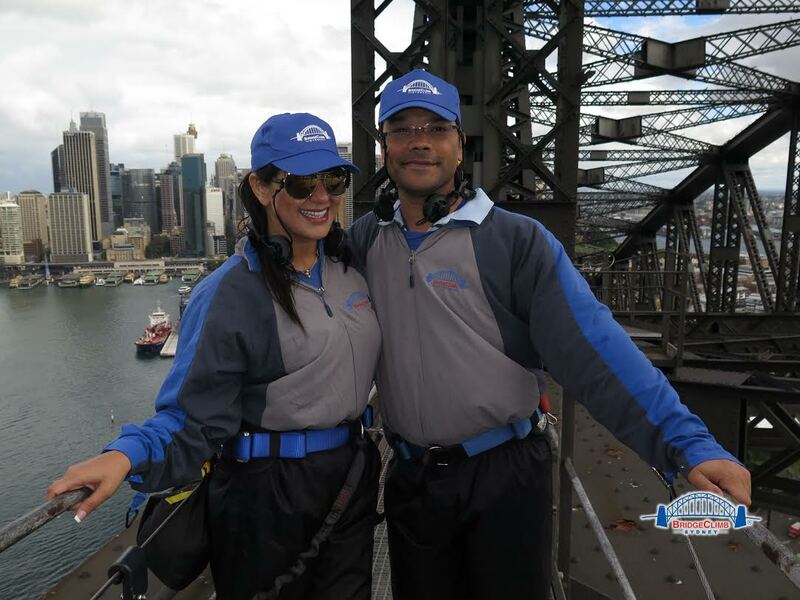 While you climb harnessed to the bridge and soak in the unmatched views of Sydney with every step, the real adrenaline rush awaits you at the top. With a bright blue sea flowing beneath, Sydney skyline in the backdrop and another architectural marvel The Opera House in background, it is a sight that very few places can match. It is an experience of Sydney unlike any other. There is an option of choosing to climb at the dawn, dusk or at night as well. The Bridgeclimb remains open through the year and at various times of the day. It is also a popular place for people to propose to their beloved or climb with their beloved on their honeymoon. My husband had climbed earlier and hoped to do the same with me when we got married. If ever I thanked god for granting him his wish, it was for granting this one. The certificate on completion of the climb is the proud possession that adorns our wall.